Promote a healthy work/home life with balance. With personal and professional support, guidance and education, women and men can grow in self confidence, build life skills, take responsibility, communicate well, develop meaningful relationships and stay healthy and well during the pregnancy to parenting continuum. 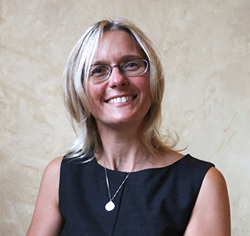 Erika Munton has been a birth worker and coach for 20 years, supporting, guiding and educating expectant parents across the pregnancy to parenting continuum. “Expectant parents are often challenged in their efforts to balance the daily demands of their personal and professional life whilst trying to make an informed choice and be confident about normal physiological birth. There is still limited personalised support, unbiased information and evidence based care specific to the perinatal period in our culture (especially in the workplace). This led me to develop the Birthready and the Pregnancy and Parental leave wellness programs. Working together at home, in the community and in the workplace, my team help meet the personal and professional needs of individuals, employers and employees for a positive, health and satisfying transition into life as a parent”.